I've always loved Julia Hengel of Gal Meets Glam's dreamy, feminine aesthetic. I adored the softness, the florals, the timeless feminine dresses and the colorful yet old fashioned feel of Charleston of her blog and Instagram feed. When her line of clothing came out, it seemed like every fashion blogger was excited - including me. I'm wearing the "Lauren" - a silky shirt dress with elegant buttons and cap sleeves that has a 1940's sophisticated, timeless aura. The Margaret has an undeniable 60's vibe! This timeless silhouette, mini skirt and bright florals will have you looking like one adorable retro babe. 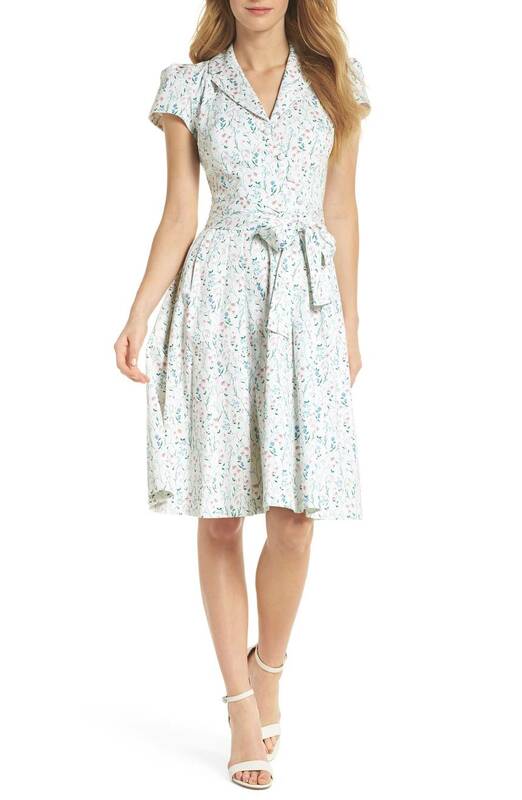 This darling shirt wrap dress is a perfect blend of Modern and Vintage Inspired. The shirt style top is all 1940s and the short skirt brings this dress into 2018. 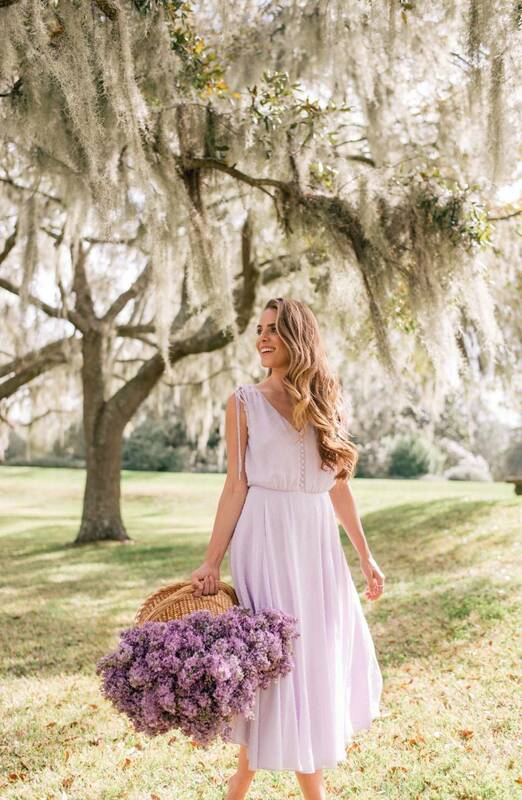 This romantic, lilac dress is all 70's boho beauty. I love the sleeves and the airiness to this dress! This ruffly, playful dress echos the styles of the 70s. 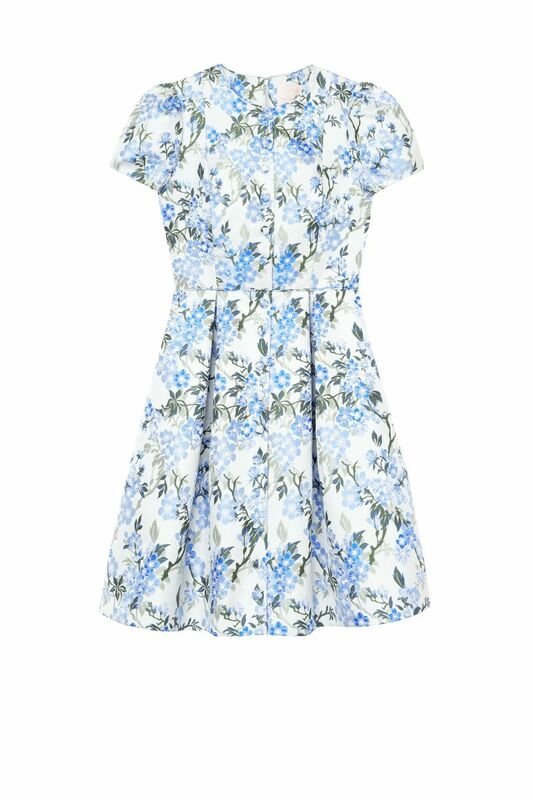 Look like a romantic retro babe in this lilac number! What's your favorite Gal Meets Glam meets Vintage look?